Mike Cuesta is Senior Vice President of Marketing at CareCloud, where he leads the research, design, strategy and implementation of the company’s enterprise and product marketing initiatives. In his role, Mr. Cuesta is responsible for corporate branding and communications as well as the development and execution of product positioning, go-to-market strategies, customer acquisition and customer experience initiatives. He believes that healthcare technology is entering a new era of innovation and is passionate about making transformative technology easy to access and enjoyable to use for CareCloud’s customers and partners. 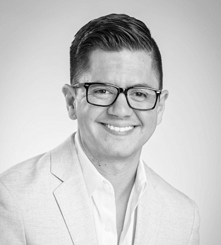 Mr. Cuesta is a design-driven and technology-focused marketing strategist and designer with over 10 years of experience in marketing, user experience and web strategy. Prior to CareCloud, he worked with several companies including Ryder, HP and Interval International. At Interval International, a leading global provider of leisure services to the vacation industry with more than 2,800 employees worldwide, he directed the information architecture for the transformation of several legacy applications to a state-of-the-art, consolidated web application. Prior to that, he was Senior Designer & Webmaster at Avisena, where he grew the online marketing, branding, and product management programs that directly contributed to a 62% year-over-year revenue increase from 2007 to 2008. Mr. Cuesta’s passion for user experience has garnered multiple awards and recognition for CareCloud.com, including The Web Marketing Association's WebAward, International Academy of the Visual Arts’ W3 Award, and a Webby Award, the leading international award honoring excellence on the Internet. He was granted a scholarship to the Visual Arts Conservatory at Miami Dade College before studying Business Administration and Marketing at Florida International University. He was listed in WebDesigner magazine as one of the Most Influential Designers of 2004.